*NEW* HiPP Organic Pouches and Cereals! & WIN! Well hello there stranger! I know it's been a loooong while since I managed to post. I'm going to sum it up as "the great laptop incident of 2016 & laptops cost too much to repair...". But here I am, I'm back, I'm online at last! I've missed the internet. So what better way to come back than with a sneak peak at some awesome new products HiPP Organic are going to be bringing out in June, plus a chance to win if some of your own if you keep reading! 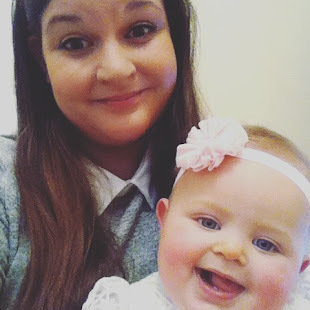 As a mum I've always found mornings can be the most hectic time of day. This is especially apparent since I've gone back to work after my maternity leave this past month. There's getting myself ready, helping Jack find socks, preparing my bag, ironing a shirt, and that's before I've even thought about what Isla needs on waking up! When I was staying home with her every day we'd have a nice chill breakfast with a homemade pancake or omelet. I laugh in the faces of people who think this is still possible. Thankfully, (no really, I'm so grateful!) 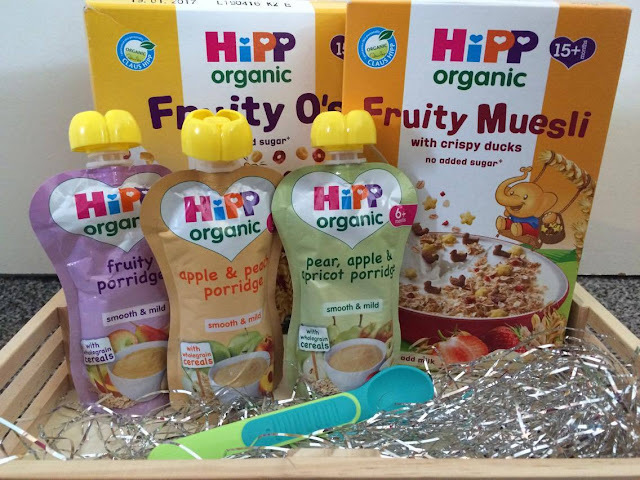 the lovely people at HiPP have sent us over some of their new breakfast range to try on Isla! Porridge pouches, and for toddlers 15 months+ there are some exciting new cereals- HiPP Organic Fruity O's and Fruity Muesli with crispy ducks. These new cereals from HiPP contain no added sugar (just naturally occurring sugars) and are packed full of organic fruit and multigrains. We are passing on our cereal boxes to Isla's cousin Albert and her Aunty Lucy is going to be sharing her thoughts on this once he's put them to the test- keep your eyes peeled for that. Isla's tried each of them twice now and I'm feeling Apple and Peach Porridge is a strong contender for favourite. To ensure the best taste for babies (and mums who insist on taste testing everything like me), HiPP select special varieties of fruits & vegetables which are naturally low in acid content & high in nutrients. To ensure optimum flavour they are given time to ripen naturally and harvested at their plumpest & sweetest. It explains the tantrum we get when she's finished. 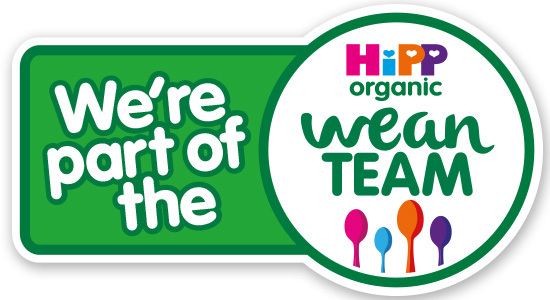 Find out more about the new products from HiPP Organic as well as the rest of the range on their website http://www.hipp.co.uk/products/our-baby-food-and-drinks. They'll be hitting the shelves in Tesco June 1st and Waitrose on the 13th June! So would you like to win a hamper of these new goodies from HiPP Organic? If you would then I have a fab giveaway for you. Complete your entries below for a chance to win! The contest is going to run just over three weeks and will be ending on the 18th June. Good luck! The boring bit: Contest will be ending on the 18/06/2016. Entrants must have a valid UK address. The winner will be randomly selected using the gleam app and be contacted within 48 hours. The prize will be supplied directly from the HiPP Organic Team. Good luck and thank you. Disclaimer: I was sent a free bundle of breakfast items from Hipp Organic for review as part of their wean team. 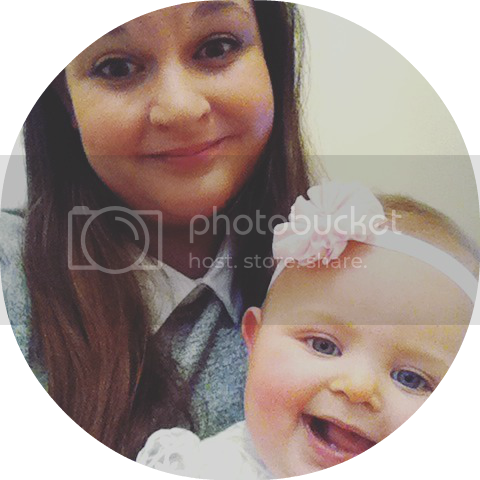 I have used my own photos and given an honest opinion/reaction to the products. I'm sorry porridge girl and have been for years with a dash of honey normally . my daughter loves her cereal, i can never shovel her weetabix in quick enough! Me and my daughter love hipp organic range of different flavoured pouches and porridges. Great give away! We love HIPP in all its guises, but the Apple and Peach Porridge is a firm favourite with my large, hungry six-month old grandson, Henry. All cereal or toast with nut butter (any kind) on it. Still first stage of weaning. Trying vegs, fruits and porridge too. He doesn't like food yet though I thing he prefer fruity stuff than veggies. We just about ready to start weaning, so don't know what her favourite is yet.